Both comedians suffered life-threatening health issues over the past five years. "You don't have to have pneumonia. You don't have to get hit by a truck. You don't have to get shot. You don't have to get stabbed," Morgan said. "You God forbid lay down in your bed and just not wake up, so your best bet is to just run your race." 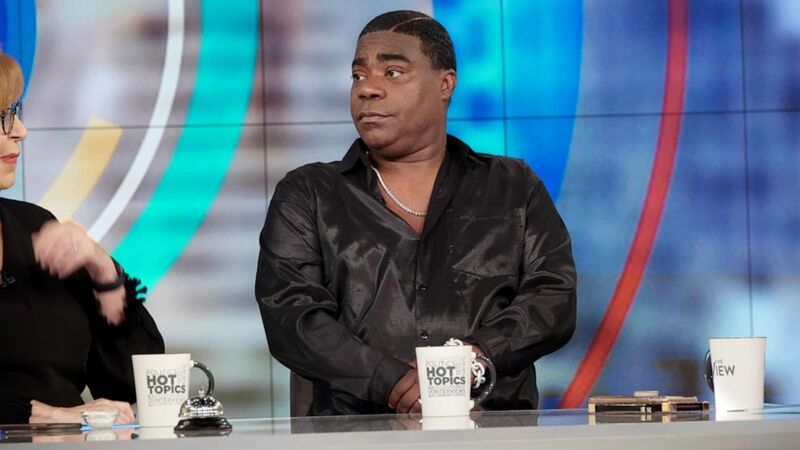 (Nicolette Cain/ABC News) Tracy Morgan discusses his health and career on "The View" Monday April 8, 2019. In 2014, a truck on the New Jersey Turnpike struck the bus Morgan was riding in. The accident left Morgan seriously injured and in a coma for eight days with a traumatic brain injury. His friend, comedian James McNair, didn't survive the collision. More recently, Goldberg battled pneumonia that spread to both her lungs, causing sepsis. She was hospitalized and came "very close to leaving the Earth" during her extended absence from the show. Goldberg echoed something similar to Morgan during her surprise return to "The View" on March 14. "You think you can push through because you have a little cold, and you think because you’ve healed before something crazy can’t happen. Well, it can." 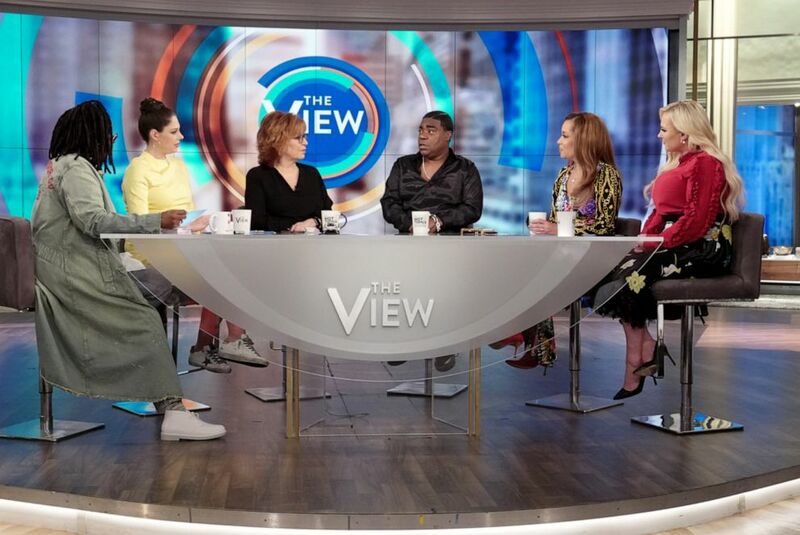 Morgan -- who contemplated suicide following the accident -- spoke on "The View" about the deeper meaning of life. "All you can do is love back. That's all you can do," he said. "That's what we [are] here for... You woke up this morning so you have to thank God, and love each other." Prior to Morgan's interview on Monday, Goldberg revealed she had a 24-hour bug over the weekend that landed her in the hospital again. "I am here, and I'm much better," Goldberg said. "Don't you leave me," a worried Morgan said to Goldberg during his interview on the show. "I just get scared. I love Whoopi." The two comedians have shared conversations in the past. Morgan said the last piece of advice Goldberg gave him was to "check for red flags" in "whatever relationship" you're in. Morgan pointed to his eyes, ears, and nostrils saying, "There's a reason why they gave you two of these, two of these, two of these, and one of these," he said pointing to his mouth.